This article is by Shannon Clare, M.A., the Associate Director of Training & Supervision at the MAPS Public Benefit Corporation. It first appeared in the MAPS Bulletin Winter 2018: Vol. 28, No. 3 and is reprinted here with permission. Please consider donating monthly (or even just once) to support the incredible work that MAPS does to advance psychedelic science and profound healing. Just as a seed has within it the knowledge to grow, humans have an innate capacity to heal, when given the right environment to do so. When help is needed to create that environment, psychotherapy, like a greenhouse, can provide a container conducive to healing. The term “inner healing intelligence” refers to the knowledge and power within oneself to move towards wholeness and wellbeing. There are many terms that could be used here; various paradigms of thought would articulate these concepts in different ways; some might reference Spirit, truth, unity, and there are many other terms that can and do carry similar meaning. 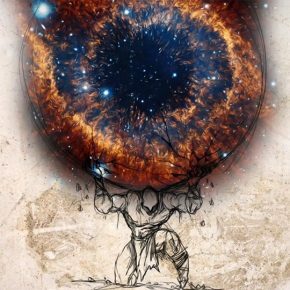 Continue reading Cultivating Inner Growth at Psychedelic Frontier. 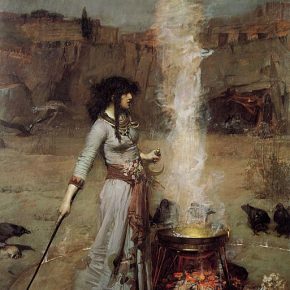 Were “hexing herbs” really used by witches in medieval times? Are they for healing, cursing, or consorting with the Devil? Learn all about the sordid history of Deadly Nightshade, Mandrake, and Henbane in today’s post. This text appeared in the original manuscript of Magic Medicine, my new book about the most fascinating psychedelics on the planet, but was cut for length. So this a sneak peek into the finished book, which covers 23 different plants, fungi, fish, and synthetic substances, from ayahuasca and 2C-B to “mad honey” and hallucinogenic sea sponges. Throughout human history, few plants have commanded as much respect – and fear – as the nightshades. Of the Solanaceae, a family of more than 2,700 distinct species including potatoes, tomatoes, chili peppers, and tobacco, a few particular plants stand out in botanical lore for their disturbing and powerful effects. Continue reading Psychedelics and Witchcraft — The Truth About Hallucinogenic “Hexing Herbs” at Psychedelic Frontier. Highlights include a performance by psych-horror soundtrack musician Simon Boswell, a talk with ethnopharmacologist and botanist Dennis McKenna (brother of the late Terence McKenna), the world premiere of comedian Shane Mauss’s new film, Psychonautics, along with a post-screening discussions with Shane himself, and the world premiere of the feature documentary From Shock to Awe, about two combat veterans healing trauma with psychedelics. Check out the loads of other incredible films and performances on the festival website. Continue reading Welcome to NYC’s Psychedelic Film & Music Festival at Psychedelic Frontier. 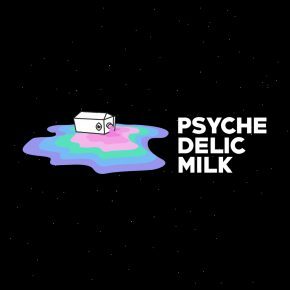 Have you heard of Psychedelic Milk? You should definitely check it out. Psychedelic Milk is a podcast hosted by Ed Liu, all about alternative medicine for scientific healing purposes and spiritual growth. As you might have guessed, he often discusses psychedelics, but dives into all kinds of tangents from Taoist spirituality to flow states. Ed’s always searching for something fresh, and he’s produced over a hundred episodes of high-quality conversations with a range of sparkling personalities. 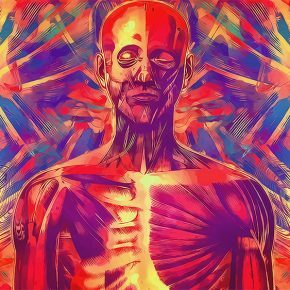 Ed invited me on his show, and I’m happy to announce that I’m featured on Episode 109: Magic Medicine with Cody Johnson | 23 Psychedelics Around the World. 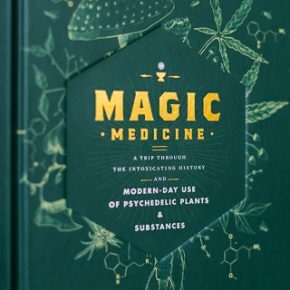 The number 23 refers to the number of chapters in my new book, Magic Medicine, each one covering a fascinating psychedelic plant or molecule. If you haven’t checked it out, definitely give it a look — if you like my blog you’ll love the book. Continue reading ‘Magic Medicine’ Author Featured on Psychedelic Milk at Psychedelic Frontier. In a historic referendum, Oklahoma voters have just approved one of the most progressive medical cannabis laws in the country. 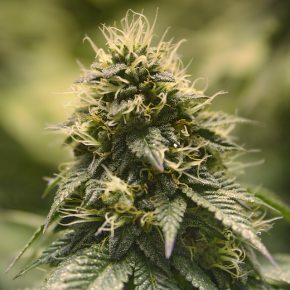 With a doctor’s orders, Oklahomans will be able to possess eight ounces in their homes, carry three ounces in public, and cultivate 12 plants. Unlike many other states, there is no limit to which diseases may be treated by cannabis — a doctor may prescribe it for any condition. The measure passed with a 57% to 43% margin. These regulations are relatively lax, especially for a red state in the heart of Trump country. But perhaps it should come as no surprise that a conservative state like Oklahoma would pass this measure — national polling indicates that 90% of Americans support medical cannabis. In honor of Oklahoma’s new status as the 30th state to legalize medical marijuana, I’m sharing an excerpt from the Cannabis chapter of my new book, Magic Medicine. Continue reading Oklahoma Voters Just Legalized Medical Cannabis at Psychedelic Frontier. When I was around twenty years old, I was living in a little apartment on Pearl Street, in Boulder, Colorado, with my good friend Jim. We were both guys who had an affectionate, on-again-off-again relationship with LSD, and during this time we were both on again. We were tripping all the time. Often, we would develop themes, inside references, ongoing philosophical explorations that would carry over from trip to trip. One day, we were sitting around waiting for our doses to kick in and decided to put on the Steely Dan album, Aja. (Steely Dan is hugely underrated as acid music, by the way.) We started feeling the effects right about the time the song “Deacon Blues” came on. We nodded our heads to the opening bars and both started singing along when the lyrics began. Our eyes widened with mutual recognition that our day’s journey was beginning, and that this particular song was perfectly, almost impossibly, synched with that realization. 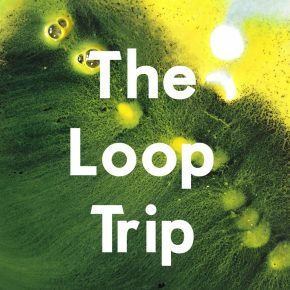 Continue reading The Loop Trip at Psychedelic Frontier. I had this experience of ego dissolution. My sense of self fell apart. It was like a bunch of post-its being blown in the wind. And then I saw myself out on the landscape like paint. 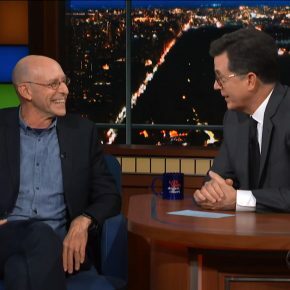 Continue reading Michael Pollan Opens Up About His Powerful Psilocybin Trip on Stephen Colbert’s Late Show at Psychedelic Frontier. 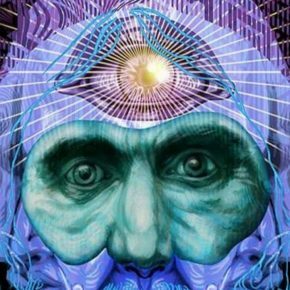 Continue reading Carl Jung on Why You Should Be Wary of Psychedelics at Psychedelic Frontier. Continue reading First Peek at My New Book ‘Magic Medicine’ at Psychedelic Frontier. Andy Roberts is an historian of Britain’s LSD psychedelic culture and author of Acid Drops: Adventures in Psychedelia, as well as Albion Dreaming: A Social History of LSD in Britain. He first fell down the rabbit hole in 1972 and has been exploring the labyrinth of passages ever since. His views on the psychedelic experience are (basically) – You take a psychedelic and you get high. What happens after that is largely the result of dosage, set and setting. Andy, thanks very much for joining me, I’m looking forward to hearing more about your book. Acid Drops is billed as “a collection of essays, interviews, and fiction”, along with “frank accounts” of your own LSD use. 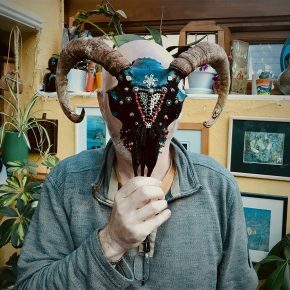 Continue reading Acid Drops: An Interview with Andy Roberts at Psychedelic Frontier.